Lyric Theatre, Queensland Performing Arts Centre, Brisbane, July 5. The Winter’s Tale is one of Shakespeare’s wondrously strange, knotty late works. The pitfalls are many but so are the rewards. Compassion, contrition, forgiveness for great wrongs and reconciliation are its towering themes. Dance gives direct access to such heart-stirring emotions, or does at its best. Christopher Wheeldon and his brilliant collaborators, chief among them composer Joby Talbot and designer Bob Crowley, have created an essentially faithful reading of The Winter’s Tale that does honour to the text and even improves on it at one point. Along the way they prove the three-act story ballet still has plenty of juice left. Leontes, King of Sicilia, believes his wife, Hermione, has broken her marriage vows with his lifelong friend the Bohemian king Polixenes, and a mad obsession takes hold. The fallout is catastrophic as family and friendships are wilfully demolished. That would be more than enough for a meaty tragedy but it’s just the beginning: The Winter’s Tale seeks the light. A lost child is found, a woman thought dead comes back to life, amity between kings is restored and their offspring fall in love, offering bright hope for the future. Wheeldon’s telling is lucid, tightly focused and gorgeously arrayed in sound and sight. Talbot’s score overflows with energy, generated by lusty rhythms, Eastern flavours and tremendously effective, scene-setting instrumentation, revealed sumptuously by Queensland Symphony Orchestra under music director Alondra de la Parra. Crowley’s designs are just as potent a narrative element too, juxtaposing the austere formality of the Sicilian court with the buoyant, colour-drenched Bohemian countryside where, 16 years after the events in Sicilia, young lovers Perdita and prince-in-disguise Florizel frolic with friends who are bursting out of their skins with boundless energy and good humour. The zesty, folk-meets-ballet dances in this second act are intricately constructed, utterly delightful and really do go on too long, although Wheeldon knows his audience. Cheers greeted the outpouring of youthful virtuosity. Francesca Hayward’s fresh, unaffected radiance as Perdita and McRae’s soaring, ardent, fleet-footed Florizel were thrilling. 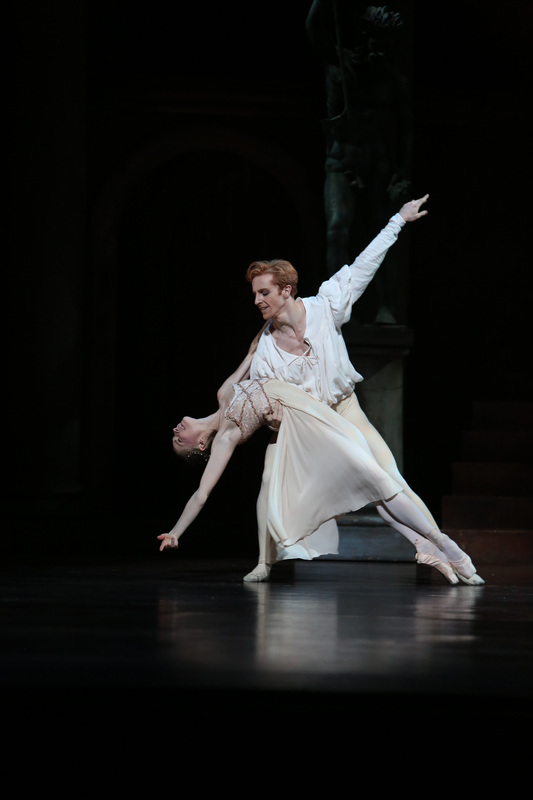 Apart from Hayward, who replaced the injured Sarah Lamb, on the first night of The Winter’s Tale Brisbane saw the dancers on whom the ballet was made. They included the incomparable Edward Watson as Leontes and, as Hermione’s confidante Paulina, glorious Zenaida Yanowsky, who retires from the Royal after the final Brisbane performance tomorrow (July 9). 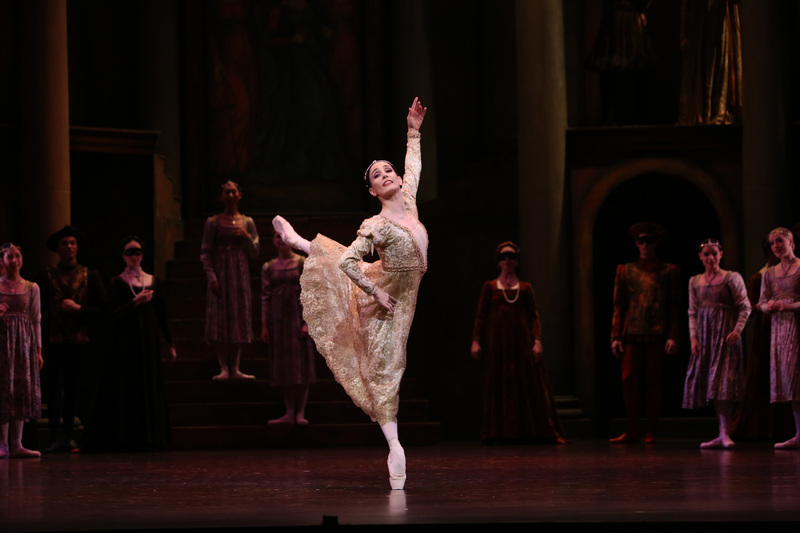 Yanowsky recently farewelled London audiences after starring in Frederick Ashton’s Marguerite and Armand but perhaps she isn’t unhappy that Paulina, the conscience of The Winter’s Tale, truly marks her exit. Wheeldon gave his most pungent and distinctive choreography to Paulina and the tormented Leontes and Yanowsky and Watson, both superlative dance artists, made starkly expressionistic movement a window into the soul. They were matched in impact by Lauren Cuthbertson’s dignity and strength as the ill-treated Hermione. Watson wasn’t afraid to walk a treacherously slippery highwire. Leontes is very close to insanity as he insists on believing that Hermione is an adulterer and Watson gave the character something of the extreme intensity seen in silent films. Leontes’s restless, angular movement takes its cue from an agonised speech in Shakespeare’s Act II in which a highly unsettling image is conjured: “I have drunk, and seen the spider,” says the king. Watson looked feverish and distraught in a dangerous, on-the-edge performance. He was therefore all the more touching when Leontes realises Perdita is the daughter he abandoned (a scene not shown by Shakespeare but related by characters called First Gentleman, Second Gentleman and Third Gentleman). 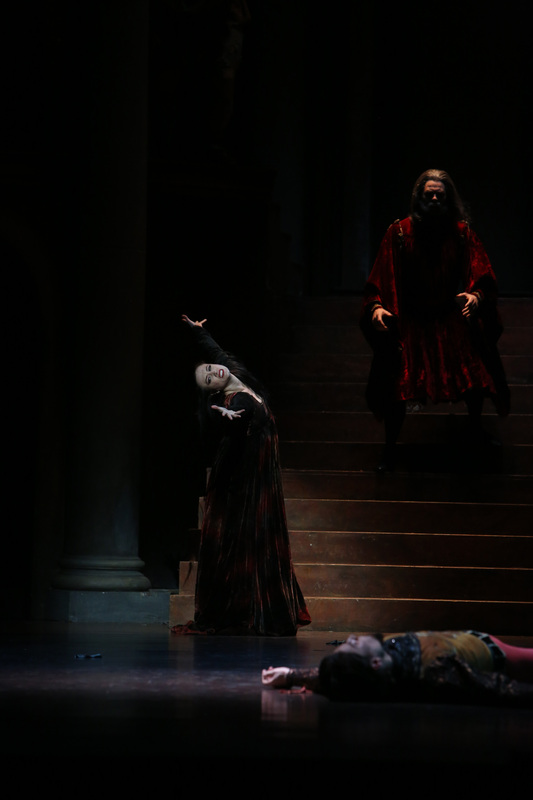 Soon after, Leontes discovers that Hermione, too, is still alive but Wheeldon again departs from Shakespeare by reminding the audience that some things can never be truly mended. Shakespeare’s Leontes decides to promote a marriage for Paulina, just to round off the happy ending. Wheeldon leaves her alone and mourning. 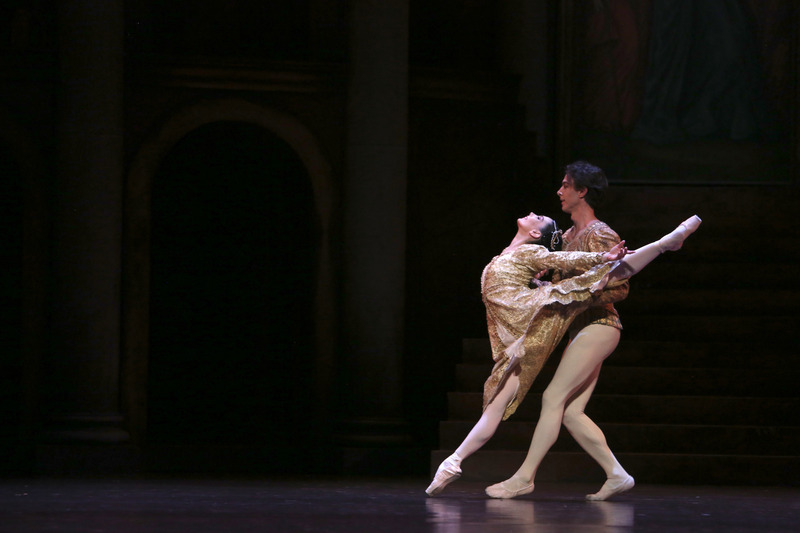 He and Talbot, who collaborated with Wheeldon on the scenario, have revived hope for serious narrative ballet. The Winter’s Tale ends in Brisbane tomorrow (Sunday, July 9). There wouldn’t be too many 29-year-old men who know exactly where they are going to be in five years. Not in a general sense, as in being pretty sure about being promoted, or settling down with a partner and children, but precisely, literally. As in a date, a place, a specific task. Liam Scarlett does. Making a ballet might take as little as five or six weeks. Making a career – well, that’s a different matter. With big organisations programming well into the future, he has to look ahead too and juggle an increasingly hectic schedule. The British choreographer is a man wanted simultaneously in two hemispheres. He would have liked to be in Brisbane this week when Queensland Ballet, co-producer with RNZB of A Midsummer Night’s Dream, opens its season of the ballet, but another big commitment called. Scarlett popped into Brisbane for a week at the beginning of March to work with the QB dancers and then it was back to his home company, The Royal Ballet, and the forthcoming Frankenstein. Scarlett’s full-length take on the Mary Shelley story, which will be danced to a newly commissioned score by American composer Lowell Liebermann, opens in London on May 4 and in 2017 at San Francisco Ballet, the co-producer. Even if he says “it just happened”, meaning his choreographic career, and even if to the world at large he looks to have rocketed out of nowhere – nowhere being the lowly rank of first artist as a dancer at the Royal – Scarlett has spent almost all his life preparing for exactly this. In the short version, he was picked up by the world’s radar with a well-received mainstage work, the one-act Asphodel Meadows, for the Royal in 2010. That led to a commission from Miami City Ballet for 2012 and the floodgates opened. Ethan Stiefel, then artistic director of RNZB, was one of the smart ones who got in early. In fact, Scarlett says A Midsummer Night’s Dream was one of his earliest commissions. That particular little square in the diary was filled in more than three years ago. Once Scarlett had agreed to make the ballet for RNZB, QB artistic director Li Cunxin quickly came on board to share the production. The longer story starts 25 years ago in Ipswich in the south of England when Scarlett was four, an energetic lad sent off to ballet classes. Early on he started “arranging people on stage nicely” for things, as he told a British newspaper several years ago. He was good enough to be accepted into The Royal Ballet School at 11 and that’s where he really started arranging people nicely. Scarlett doesn’t mind a dark subject. When Stiefel first called him about making a work for RNZB they tossed around ideas for about half an hour before Stiefel brought up Shakespeare’s much-loved play. Scarlett laughed and said Stiefel wanted Dream from the start but worked up to it slowly “maybe because it involves fairies and my usual aesthetic doesn’t veer towards that”. This is true. Scarlett’s CV contains two ballets with titles that refer to the afterlife (Asphodel Meadows, Acheron); a ballet about artist Walter Sickert’s obsession with Jack the Ripper (Sweet Violets); a particularly dark version of Hansel and Gretel; and a take on W.H. Auden’s The Age of Anxiety. When the curtain rises on Scarlett’s A Midsummer Night’s Dream the night air is full of mystery and mischief. A flock of fairies dashes thither and yon, adorable in fluffy, richly coloured tutus and super-sized wings. Now you see them and now you don’t as they dart behind glowing flowers or are glimpsed up in the tree canopy, catching their rulers, Oberon and Titania, having a domestic over ownership of a little changeling boy. The keen-to-please Puck pops out of a hiding place high above the forest floor to start getting everything wrong on Oberon’s behalf and his exertions are complicated by a group of young people blundering about in the dark, intent on romance and excitement. “They’re on a fairy safari,” said Tracy Grant Lord with a huge smile. Like Ashton, Scarlett uses Mendelssohn’s Incidental Music written for the play but needed to augment it to fill two acts of dance. Other Mendelssohn pieces were arranged and orchestrated by then RNZB music director Nigel Gaynor, who is now with QB, and woven into a score overflowing with luscious melodies. RNZB’s current artistic director Francesco Ventriglia (he inherited the ballet from Stiefel) commented that while Scarlett’s RB training means he has the Ashton in his DNA, “he’s got a strong enough voice to make it his own”. When about to make a work Scarlett relies first on instinct and the subconscious – to let the ideas percolate. “Once that title is circling in my head you leave it for a little bit and every so often something will pop in and you’ll jot it down, and you’ve got a notepad of key components of looks or ideas and little nuances. Then once that happens you really do have to sit down with a blank piece of paper and go, ‘Right! Let’s start’. A Midsummer Night’s Dream, Queensland Ballet, Brisbane, April 1-16. A version of this story first appeared in The Weekend Australian in October last year.